A TOUGH draw at Bendigo on Friday night should have no impact on Whats In The Esky continuing his unbeaten record for the season. 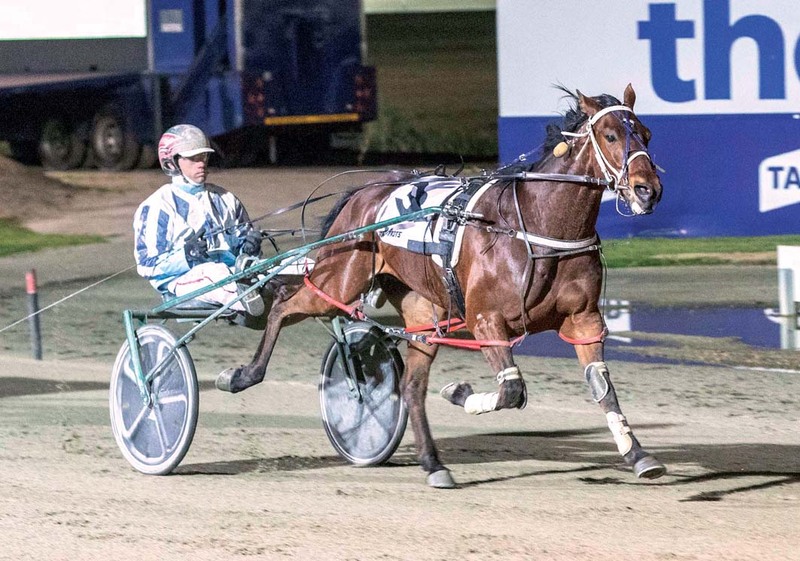 Successful at his four starts for the term, Whats In The Esky will begin from the outside of the second row for trainer Allan McDonough who is positive the Australian Pacing Gold purchase can extend his winning sequence. “I think he can still win,” McDonough said. “He is up in grade a little, but is still lightly-assessed based on his potential. “At least over 2100 metres he has a chance of getting into the race from the draw. Despite Whats In The Esky’s impressive form McDonough has no major plans in mind for the four-year-old. “At this stage I will just keep going through the country fronts with him,” McDonough said. “A heat and Final series would be ideal if I can find one. Harness racing’s answer to Nadia Comaneci.